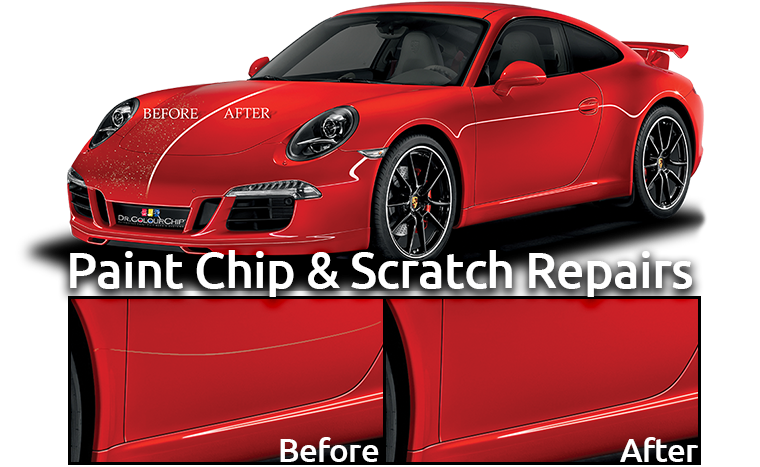 Our paint chip repair technicians use the proprietary Dr. ColourChip Paint Chip Repair System to fix automotive paint chips and road rash. This unique process also protects your car from rust and other long-term damage to the exposed metal. In addition, our Professional Paints can be exact OEM matched to your car’s finish to keep it looking great. Let our experienced technicians carefully remove scratches or scuffs on your vehicle so it looks like new again. Give your automobile a fresh feel and smell with a wide range of detailing services to suit your needs, from the budget-friendly Express Cleaning to a thorough Full Recondition. For a crisp look and renewed look, engage Shine Factory's car detailing services today! Bring your motorcycle or RV in for a completely clean, while you work. The Opti-Coat Pro Ceramic Paint Protection package now delivers, even more, gloss and slickness than ever before, while still maintaining the same chemical structure that has made it renowned as The Ultimate™ protective paint coating. We are a Full Service Car Detailing Company. With over 20 years in the Commercial Cleaning industry, our company is your best source for professional, value driven service. Shine Factory provides detailing packages and custom services tailored to fit the individual needs of each client. OFFICE HOURS: MONDAY – FRIDAY 9 A.M. TO 5 P.M.